Runways generally serviceable, dependent on recent rainfall. Please telephone for current status. This delightful airfield is situated in picturesque farmland on the East Coast of England close to Harwich in Essex. There are two well-kept grass runways plus extensive secure modern hangarage. Great Oakley Airfield enjoys good relations with its neighbours and asks that pilots be considerate when arriving and departing. We welcome home-based aircraft and have three spacious hangars, one of which is used for microlights. John Tregilgas, a highly skilled master wood worker, is engaged full time restoring four Percival Proctors. 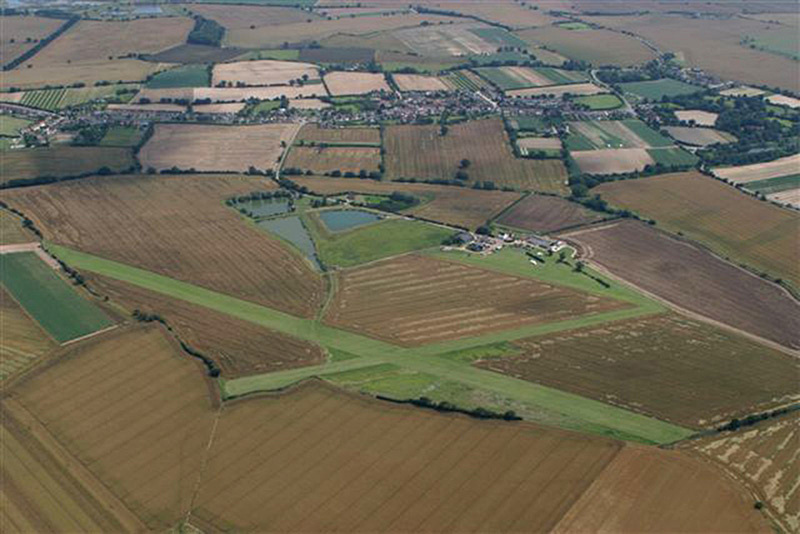 Great Oakley Airfield is 5 miles to the West of the old town of Harwich. Contact and location details on the Contact page.